Sean Gerace worked in the back room on the Trader Joe's in Silver Lake. 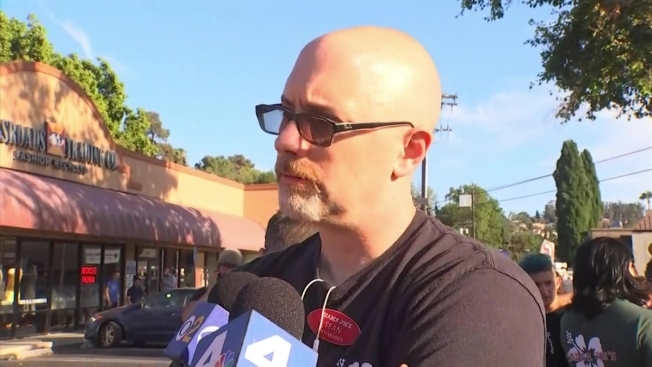 When an armed suspect barricaded himself inside the store on July 21, 2018, Gerace helped colleagues hide in a secluded area of the store and eventually, with the help of Los Angeles Police Department SWAT officers, escaped with his group by climbing down from a second-story window on an emergency ladder. 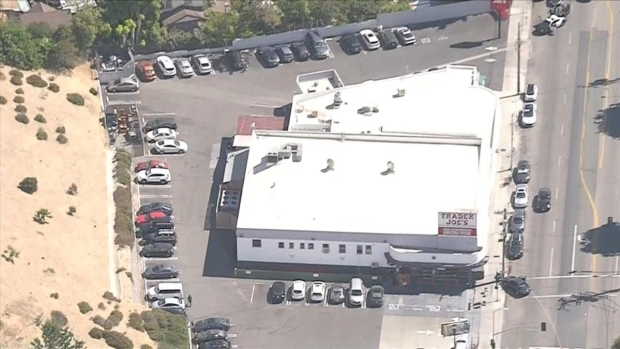 Sean Gerace was working in the backroom of a Trader Joe's in Silver Lake Saturday afternoon when he heard screaming and gunfire. He ran upstairs, grabbed a couple of his co-workers, made his way into a storage area. "I grabbed an emergency ladder, barricaded the hallway, grabbed a weapon, put the ladder out the window, and just tried to get the attention of a SWAT officer," he said. Once he got his attention, he signaled that he wanted to go down the ladder and the officer gave him the thumbs up. He and several co-workers got down the ladder to safety. They were among the dozens of terrified workers and customers caught up in the standoff between police and a man accused of shooting his grandmother and girlfriend in South Los Angeles before leading police on a car chase, engaging in a gunbattle gun battle with officers and taking hostages at the Trader Joe's. The unidentified man was taken into custody after the tense, hours-long standoff that left one employee dead. It was unknown how many people were inside the store when the suspect ran in. A throng of police and fire crews surrounded the store by 4 p.m.
Aerial footage showed what appeared to be a store employee dragging a woman from the grocery store. Police confirmed the woman was the employee who died. A young hostage is released from a barricade situation at a Silver Lake Trader Joe's on Saturday, July 21, 2018. Police also were seen carrying children away from the store. In a news conference, Los Angeles Mayor Eric Garcetti expressed sympathy for the community. He said he and his wife were regular shoppers at the Silver Lake store for years. Officers rescued a group of children and a dog after an armed suspect opened fire and barricaded himself inside a Trader Joe’s in the Hollywood area on Saturday, July 21, 2018. "Our hearts go out to everybody who has been traumatized," he said.